This is an automatic Paper Plate Making Machine which requires one man to put the paper into the machine one by one and then machine gives the finished product automatically. 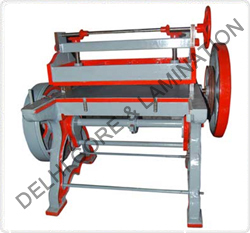 We offer paper plate making machines and automatic paper plate making machine from Delhi, India. 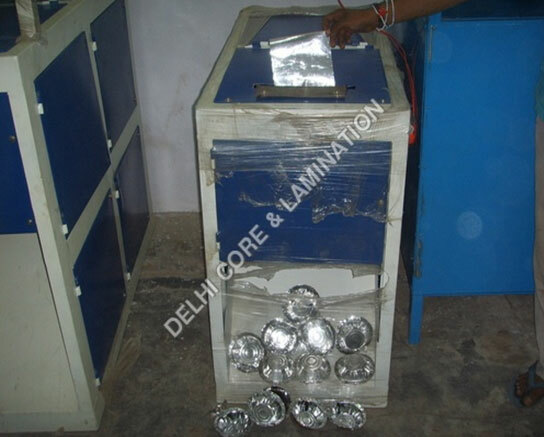 Automatice Double Die Paper Plate Making Machine.. Automatice Die Paper Plate Making Machine.. . .
Feel free to contact us for lamination machine and film lamination machine. 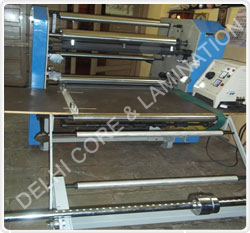 We are manufacturer of film lamination machine in Delhi, India. 30� Film Lamination Machine.. 32� Film Lamination Machine.. 36� Film Lamination Machine.. Delivery Time - 30 Days.. .
We deals in cutting machines and paper cutting machines. Weight Of Machine: 1000kg Approx.. Total Power: 1.5kw.. Power Source: 220v 50hz.. Suitable Paper Weight: 80gsm-1000gsm.. Paper Plate Size: You Can Make Any Size And Kind Of Plate.. For any paper cutting machines requirement, send your query to us. © Copyright 2019 Delhi Core & Lamination. All rights reserved.